Survey conducted by PM reveals joint Likud-Jewish Home ticket won't bring more seats. Peretz could be forced to run with National Union. 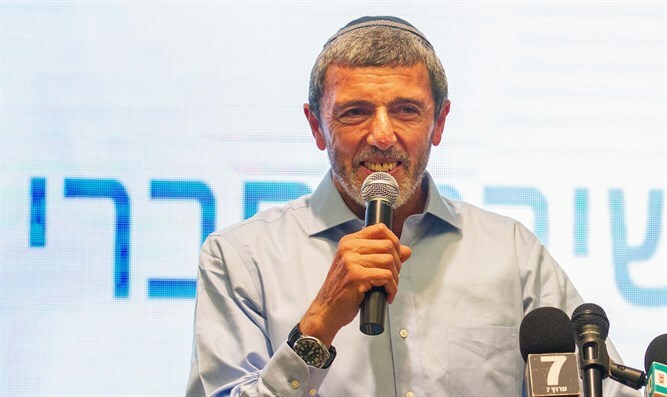 Prime Minister Binyamin Netanyahu today told Jewish Home Chairman Rabbi Rafi Peretz he will not be on the Likud list and that he will have to unite with the National Union party. According to the report on News 12, in-depth surveys conducted by the Likud showed the connection between the Likud and the Jewish Home parties did not yield more seats as originally thought, and therefore the plan to save Peretz a spot was shelved, along with the promise to grant Peretz the education portfolio.